Our range of Ball Clay is high on demand in the market. 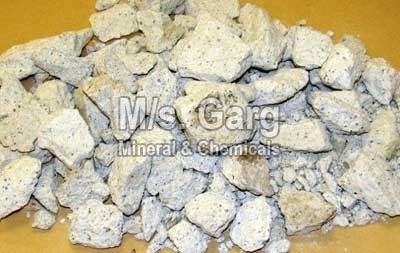 It is a highly plastic variety of clay of kaolin group. The high plasticity in ball clay is attributed to its particles being very fine grained. The pyrometric cone equivalent of ball clay hardly exceeds 33. Over 85 % of the particle sizes present in ball clay are less in diameter. Clients can be eased with the availability of Ball Clay at the most nominal prices. Production of ball clay has been reported from west Godavari district of Andhra Pradesh and Bikaner district of Rajasthan. Almost all requirement of ball clay is fulfilled from indigenous sources. It also imported from USA, Japan and UK. The main utility of ball clay is plastic industry due to its high bonding qualities and tensile strength. It is also used in blend with non-plastic to semi-plastic clays to obtain requisite strength to the bodies on drying. It is added in preparation of body composition of vitreous sanitary wares, bath tubes, and hotel chinaware, and floor, wall tiles. It is also utilized in production of porcelain, spark plugs etc.